Ginger Grouse – the new alcoholic ginger beer – with Famous Grouse Scotch! I’m trying something a little different today; indeed, a beverage usually enjoyed more readily by DTS: ginger beer. There is a reason why I’m writing about it, though, and that’s because it’s got a dash or two of The Famous Grouse whisky in it. This is Ginger Grouse – a 500ml bottle of alcoholic ginger beer that’s bottled at 4%ABV. Nose: What I’d expect from any good ginger beer: mostly warm ginger, with hints of sweet butter. The lower temperature seems to highlight the more buttery notes (reminiscent of some other, cool ginger beers), along with the lemon and lime notes. Unfortunately, it generally seemed a less balanced, with these flavours being stronger and the finish being weaker and a little watery. I’d definitely just keep this chilled. The lime is prominent and makes this a more fruity drink, but there’s also more of a contrast between the savoury acidity of the fruit and the butter notes of the ginger beer. This battle of flavours hides all traces of the whisky, so this is easily my least favourite way of serving Ginger Grouse. I like the range and variety of the Famous Grouse product line, even if I don’t like all of the products themselves*, but – fortunately – I do like this one. Whilst it didn’t bowl me over, it’s light and refreshing, with a hint of whisky and a medium level of fiery ginger on the finish, making it better for quenching your thirst, in my opinion, than many other alcoholic ginger beers. Just make sure not to dilute it too much with ice or mask the flavours with any citrus – it’s perfectly fine on its own. Ginger Grouse is available from Tesco for around £2 for 500ml. * We’ve written about a few: The Famous Grouse Spice, The Famous Jubilee, and a range of their more readily-available whiskies. 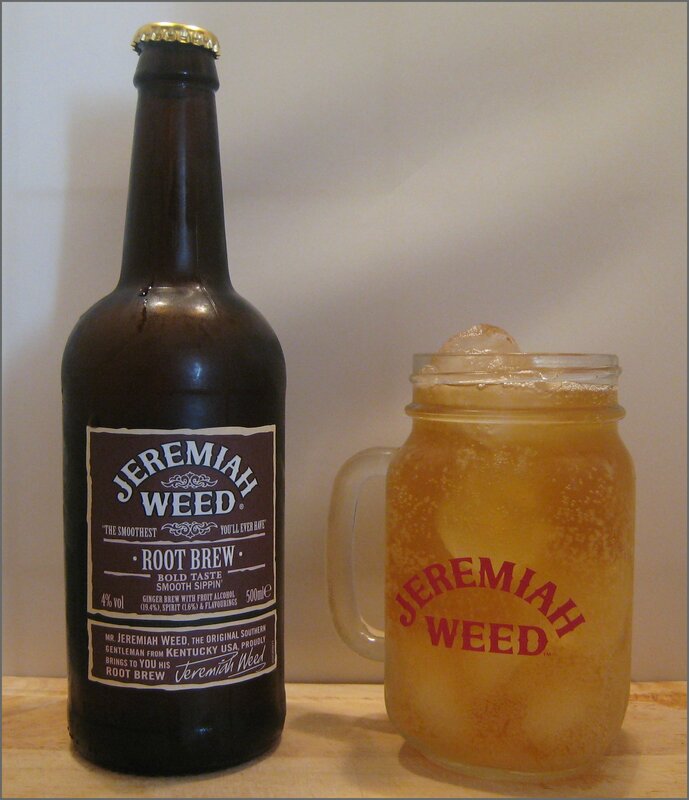 Frequenters of the UK pub chain J.D Wetherspoon with an adventurous nature will probably have seen this: Jeremiah Weed’s Sweet Tea, a vodka that has been flavoured with sweet iced tea. 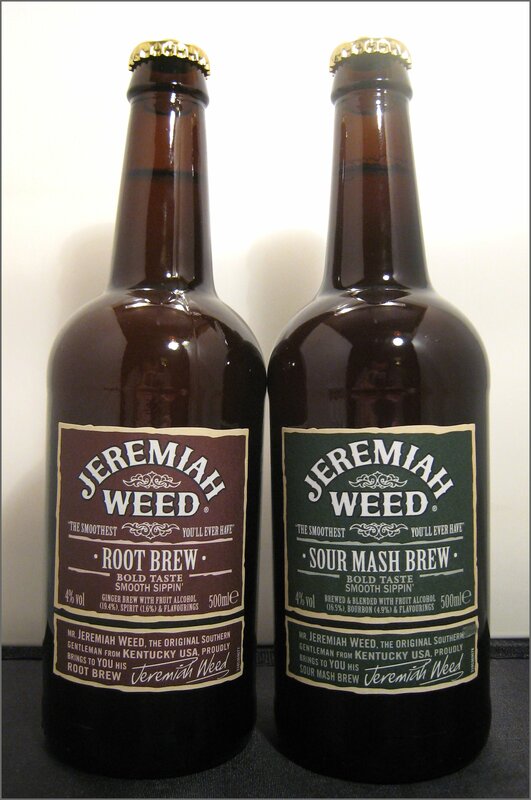 As it was an exclusive for Wetherspoon’s bars, it was with pleasant surprise that I spied a new Jeremiah Weed product in the Food Hall at John Lewis Oxford Street in the form of Jeremiah Ginger Brew. 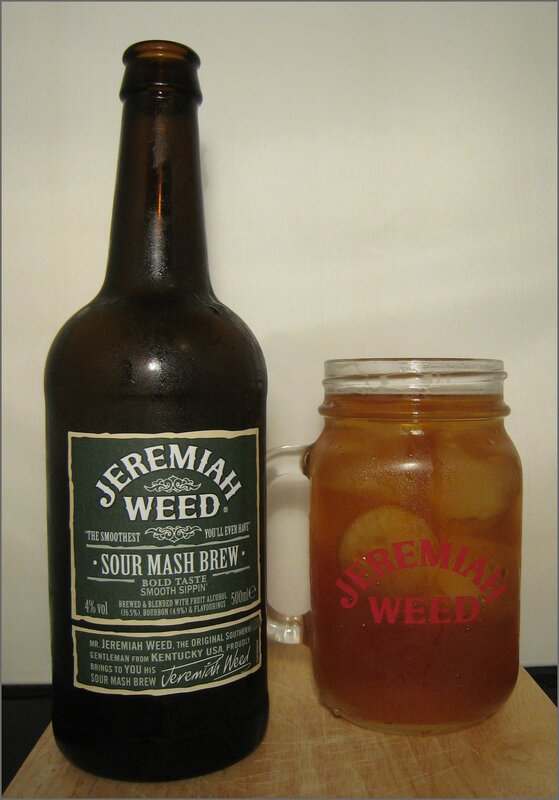 Some quick research online revealed that, in addition to the two products mentioned above, a third is also available: Jeremiah Weed Sour Mash. Following a short conversation with some splendid people, I found myself in possession of these newest additions to the line, as well as a rather funky piece of glassware to enjoy them from. In the early 1980s, a Jeremiah Weed bourbon liqueur was created and sold in the hills of eastern Kentucky and Tennessee, an area with a long history of whiskey production. The Sweet Tea has been trialled in Wetherspoons in the UK for the last two years, but 2012 saw the launch of two new beverages designed specifically for the UK market. Bottled at 4% ABV, the Sour Mash brew is a bourbon flavoured drink. It contains a mix of fruit alcohol and real bourbon, as well as some other flavours. Cool and refreshing, it has a medium-low fizz. The initial flavour that hit my palette was a slight bready maltiness, but what I found most surprising was that – just after that initial flavour – you can really taste the bourbon. If someone had given this to me, I would have probably thought that it was a long bourbon drink. There was a good, natural sweetness and lots of woody notes. I found it easy to drink and very refreshing. The finish had a slightly acidic, citrus note, similar to pineapple juice, which then faded into a vanilla creaminess. I like both of the products. The Root Brew plays nicely with the recent increase in the public palette for ginger flavoured products. Having said this, the Sour Mash was certainly my favourite of the two; I liked how it’s both quite different and much better than any other bottled, long bourbon drinks out there. 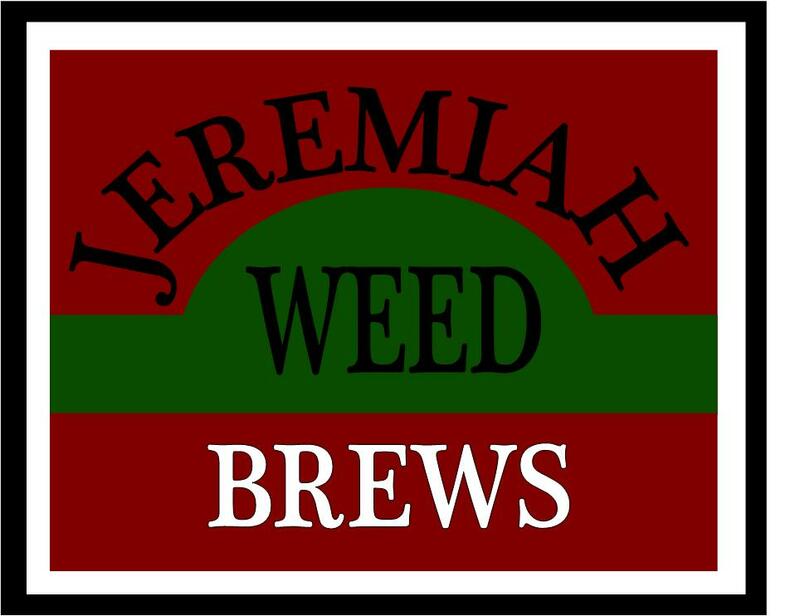 Jeremiah Weed Brews are available at selected Asda and Waitrose stores for around £2.50 for 500ml; for more details check their Facebook Page. 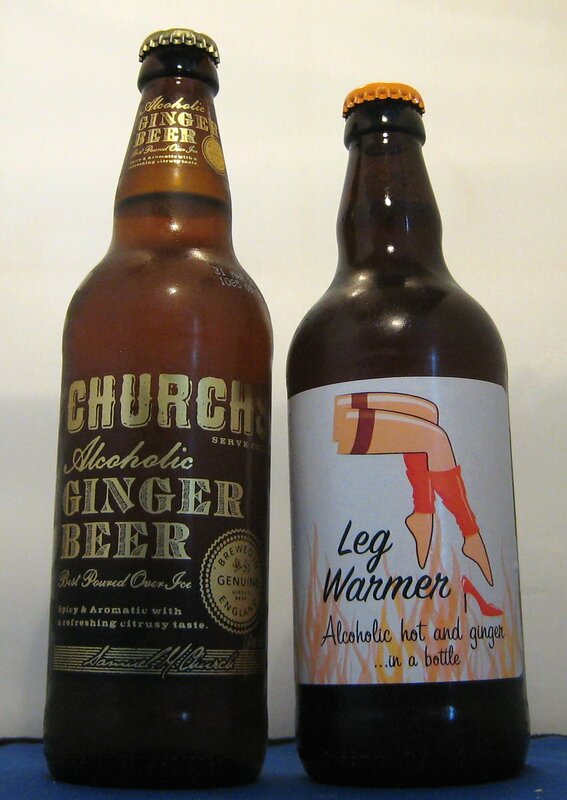 The recent popularity in Alcoholic shows no signs of abating with two new varieties of ginger beer released for Christmas 2011 and a popular brewery wading into the frey. From the Wychwood Brewery in Witney. No doubt in response to the recent popularity of this sort of product. It remind me of their release of the rather tasty Green Goblin during the cider-over-ice craze of a few years back. “A traditionally crafted beer infused with fiery root ginger to deliver a refreshing spicy finish with a bit of bite. I like to have a mooch around different supermarkets every now and then in the hope of finding something new. 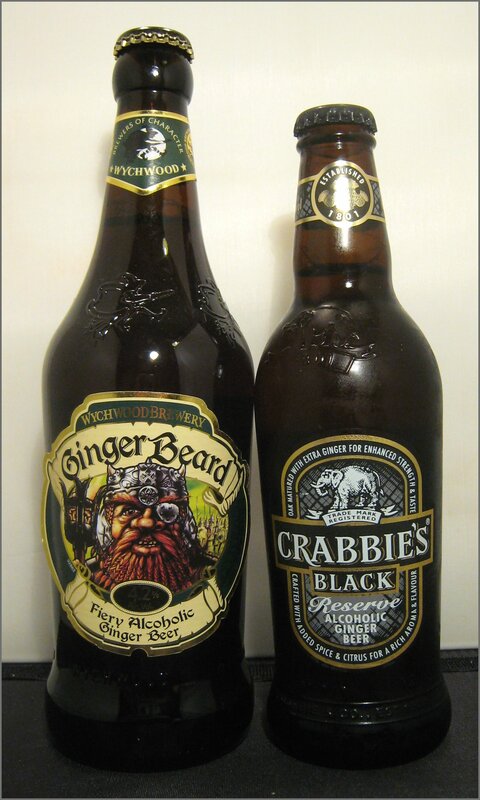 During a recent trip to Morrisions, I came across Crabbies Spiced Orange Alcoholic Ginger Beer. 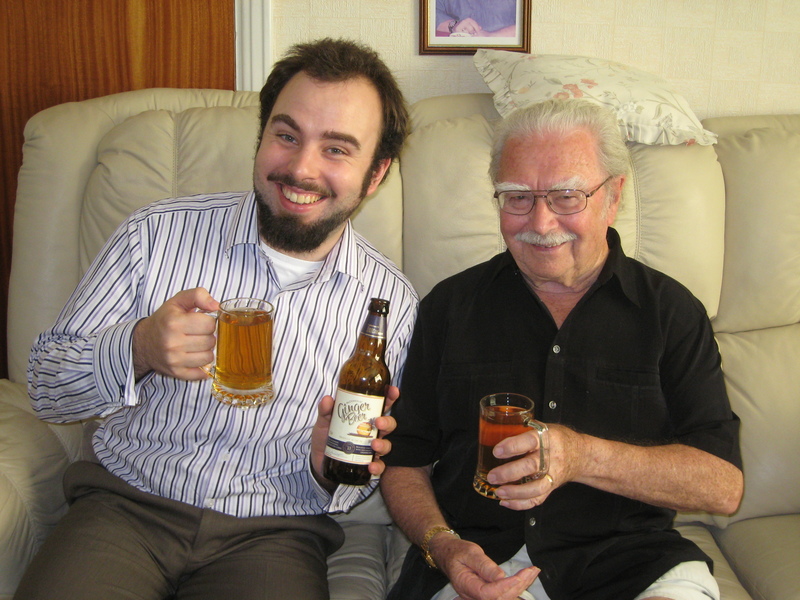 Readers of the site may recall that the original version did quite well in our Alcoholic Ginger Beer Tasting. Crabbies have taken their original formula and added natural orange extract and a hint of spice. Ginger and orange is certainly not a new combination for Crabbies, as they already make a non-alcoholic ginger beer “twisted” with orange. All in all, I quite like it and, for less than £1.50 for half a litre, I think it’s certainly worth a punt.